I absolutely love the Spartan Festival areas. There's always something fun going on and just have a nice community feel to them! I cannot begin to explain how excited I was to get back to Temecula, CA and run the Spartan Beast again! I ran it in Sept with my friend, NinjaEve, but due to the shortened course, we got to come back and race it again in Jan! This time, my hubby was running it with me and I knew it would be epic. We left Friday afternoon and after dinner near our hotel, we found a Target and picked up a few supplies before the race on Saturday. Our start time was the 10:30am wave, so we were up early and made it to the race with plenty of time to spare. It was super awesome getting to watch the 1st place elites finish the race and I even got to see my OCR crush Isaiah Vidal...shhh don't tell Jason ;) J/K he knows! He told me to go take a picture with him, but I just couldn't!!!! Anyhow, I'm not a big fan of play-by-play posts, I think it gets boring to read. I'd much rather you give you the highlights. First, let's just get it over with, here are the obstacles I missed: spear throw (So close! The spear hit the hay, but bounced off) a crazy new obstacle that reminded me of something out of American Ninja Warrior. I think it was called Multi-Rig. It had monkey bars, a long medal rod to shimmy across, and ropes to swing from. Honestly, I didn't even try it. I just did my burpees and moved on. I also didn't try the rope climb or final tarzan swing obstacle. So, that's a total of 120 burpees! Yup, I'm still working on my upper body strength and well, I'm not too fond of heights, but if you follow this blog you know this already (remember: Tough Mudder), so that's the main reason for not even trying the rope climb or tarzan swing. I'm a chicken and I'm ok with that. As for the rest of the race. It really was epic. Like the Beast in September, those almost 13 miles of hills were brutal. Half the course was uphill and the other half was downhill. Lots of the new obstacles were climbing. High vertical climbs. They were scary, but I got through them and felt good about conquering my fears! I did not like the slip and slide at all! I ended up sliding way too fast, flipped over mid-way and ended up scratching up my belly pretty good. Kinda bummed about it because I really thought it would be a fun obstacle. My 9 year old son said next time, to put my feet up against the "slide" to slow myself down and I'll definitely be trying that trick next time. Thanks, son ;) I was super proud that I passed the memory obstacle. At some point around miles 8-9 or so (I don't remember exactly! LOL)we came up to this big sign right before the sled pull obstacle. Based on the first 2 numbers on our bib, we had to memorize a sequence that began with a word followed by numbers. At a later point in the race, we would be asked to recite it and of course, if we failed, it meant burpees! I was terrified of this. My memory is not the greatest, but I did my best to chant the numbers over and over in my head for the next few miles and I did it! No burpees for me. YAY!! Don't ask me to recite it now, though. I'm sitting here trying to remember but all I can recall is OSCAR...867...and some other numbers....Like I said, my memory is wonky! My favorite obstacles are the pure grit ones. Hercules Hoist, Tire Flips, Atlas Rock, and the sled pulls. They make me feel strong and I don't need help with those. Cuz, I need a boost getting over some of those walls, people! I'm short! The best feeling ever during the Beast (Besides finishing) was helping a lady with her atlas rock after I did mine. She was so grateful for the help and I was so excited that I was able to give back on the course. Especially, since I'm the one who usually needs the help! LOL I remember during my first Spartan, the Super in Vegas last year, I couldn't lift the atlas rock from the ground and a girl came over and helped me lift it up and I managed to walk it across on my own. I was so grateful to her and everyone else who helped me out there! At each and every race there is never a lack of support! It took us 5 hours and 27 minutes to finish. Yea, it really did feel like forever and I was so ready to be finished. I was beyond tired at the end. Tired in the best way possible, of course! We managed to get a few pics after the race, but it was getting cold and we were starving! Dinner was an In-N-Out Double Double! Oh yea!! I dream of Double Doubles during the Spartan race. During most of my races, if I 'm being honest. We donated our shoes! They ran some good races, but it was time to retire them. After our "fancy" diner, we went back to our hotel room, showered, rolled and stretched, and then we just vegged! It was glorious. I put on my comfy socks from the Spartan Survival Kit my fabulous sister put together for me. I sipped on some Sophia sparkling wine and York Peppermint Patty (also from the kit) and watched Terminator Salvation. Quick fact about me: I'm a sucker for the Terminator movies. 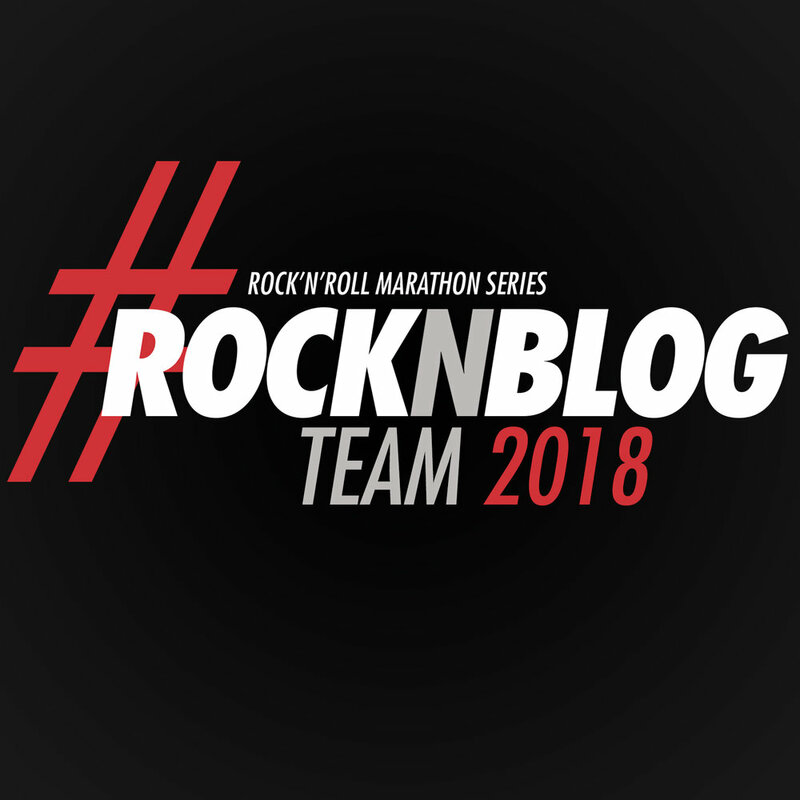 Posted in Fitness, Running and tagged with spartan chicks, SoCal Spartan Beast, spartan beast, ocr, obstacle race, obstacle course race, trail run, runner, running, runner mom. January 29, 2015 by Jessie Emeric. I've been thinking a lot about how to handle this blog post. I decided I'll share my thoughts and comments strictly about this race and my experience on Saturday without letting my thoughts and frustrations about the canceled Spartan Sprint on Sunday get in the way. In case you missed it, Spartan Race canceled the Spartan Sprint in Temecula, CA on Sunday, Sept 14 due to extreme heat. I'll keep my comments and thoughts about that in a separate blog post tomorrow. Believe me, I have lots to say about it! But for today, I want to focus on my experience running the SoCal Beast on Saturday. We took our time heading out of Vegas on Friday morning and ended up in some major 2 hour delay traffic jam on our way to Temecula. Once we finally arrived at our hotel, we pretty much went straight to bed after setting out my clothes and gear for the next day. Of course, I hardly slept. I was too anxious to sleep, so I tossed and turned a lot until it was finally time to get ready to go. I had my coffee and ate my go to pre-race breakfast of a banana and half a bagel thin with almond butter. Once we got to Veil Resort we parked and made our way to the registration area. Everything went very smoothly and we had no problems checking in and getting ready. I met up with my friend, Eve, who ran alongside me the whole time. By the way you must follow her on instagram! Here's the link to her profile: http://instagram.com/ninjaeve Sidenote: Eve will be participating in World's Toughest Mudder this November and I can't wait to be there supporting my girl!!! On with the race, I won't give you a play by play of every obstacle, but I will say that this was a brutal course. 6.2 of the 12 mile course was all uphill. These hills, although I'd like to call them mountains, were no joke. The first half of the course went by pretty quickly and I felt great about completing every obstacle up to that point. Just like for the Spartan Super, the bucket carry was by far the toughest obstacle for me. My calf cramped up towards the end of the obstacle and thank goodness I'd read an article about mustard helping with leg cramps and had some mustard packets in my hydration pack. 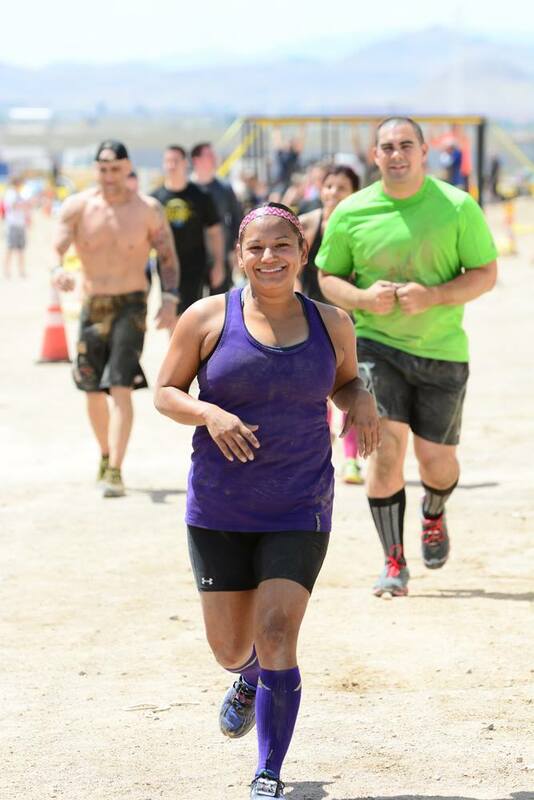 About 2-3 minutes after taking it, I felt ok enough to finish the obstacle and my calf didn't cramp up again afterwards. I will always carry mustard packets with me on a race from now on! Thanks to this random dude for the boost! For the second half of the race, the temperature started to creep up and we could see so many people that just weren't prepared for the heat. Both Eve and I had our water backpacks and although the water was already warm after a few hours, it was still helping us keep hydrated. We'd also put electrolyte tablets in our water before the race and I had my Island Boost packets too. The race had plenty of water stations and one of the last stations also had gatorade and salt packets for dehydrated runners. Even with all the warnings and emails from Spartan Race about preparing for the heat, some athletes just weren't prepared for the 100+ temps and many were not able to complete the race. So many runners weren't carrying water and guys were running with no shirts, even after being warned of the extremely high temperatures and given clear instructions on what to do to prepare for it. Spartan also ended up shortening the race by several miles for those with later start times. Like I said, Eve and I had prepared before and during the race and we finished strong. Eve got her 2X Trifecta medal and I was on my way to getting my first Trifecta. Of course, I couldn't have done it without her help throughout the race and literally pulling, pushing, and carrying me over some of those obstacles. Big thanks to a few other racers who took the time to help me up a few walls and of course a massive thanks to my hubby for all his support before and after the race and for taking these awesome photos. Thanks also to my friends and family for all their encouragement! Sadly, things didn't turn out as planned and the Spartan Sprint on Sunday got postponed until January. But, at the time, we had no idea that was going to happen. I was totally ready to take on the Sprint on Sunday with my hubby and 4 other friends that had traveled from Vegas to run it together. Like I said, be sure to come back tomorrow for my thoughts about their decision and what we ended up doing since we couldn't race. As for the Beast, it definitely lived up to it's name and I can't wait to do it again! Posted in Fitness, Running and tagged with SoCal Spartan Beast, spartan beast, spartan race, spartan, obstacle race, obstacle course race, spartan chicks, spartan trifecta. September 17, 2014 by Jessie Emeric.